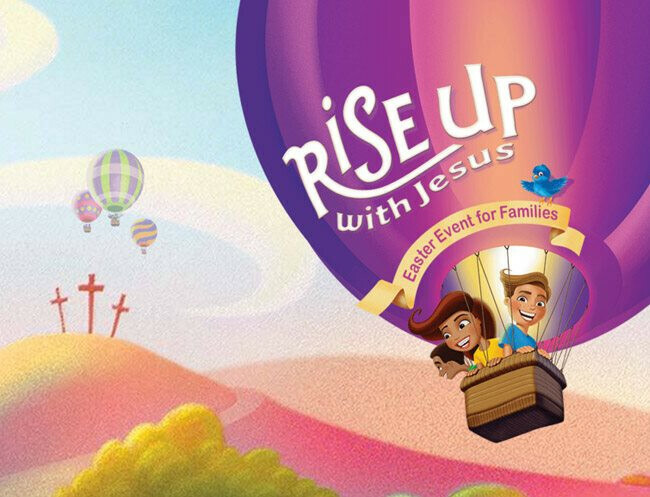 Rise Up With Jesus Easter Celebration! Join us for our interactive Family Easter Celebration! Your family will be led through multiple stations where you will learn first hand of the story of Jesus, from death to resurrection! Each child will take home a special treat bag filled with fun items collected while on your journey. You and your family will also have your family picture taken in our hot air balloon. This photo will be mailed to you in a commemorative frame at no cost to you.